There is never a better time to strap up the best wearable technology than now that sufficiently enough efforts have been introduced in both Android and Apple Wearables. Before now we had to deal with heinous, and very large smartwatches that probably offered the tech without being chic and classy. One that only passionate tech lovers could handle daily. However, now that the smartwatch industry has evolved and produced more fashionable and high-tech watches with women in mind, more women are wearing tech wrist watches. In a similar vein, more fashion brands such as Fossil and Michael Kors are being more involved in recent tech world producing fantastic watches that will impress most women. 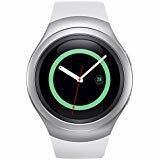 Tech companies are also not relenting with Samsung’s Gear S2 Classic and 38mm Apple Watch Series 2 being among our favourites for their matchless features that are quite satisfying. 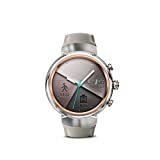 Others like ASUS ZenWatch SmartWatch and Huawei Stainless Steel Watch or any other wrist watch on the list are as well amazing and they particularly offer great features that anyone would easily fall in love with. They all can tell the time, beam important notifications to your wrists, run local apps and help you achieve more with less. Fossil’s smartwatch line has over the years grown to meet the needs of its users and continues to grow each year. This Q Wander was built with advancement in mind. It is a solid and bulky Android Wear watch for women which the manufacturer first innovated, it is worth the title it holds. The female-friendly watch has quite a good number of features that any woman will find interesting. One, it is made of genuine leather. Secondly, it lets you see new notifications from calls, emails, texts, and app updates. You can also control your music through Soundcloud, iTunes and other music players you love. 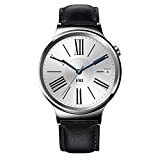 However, it is most suitable to Android as some function tend not to work when Android smartwatches are connected to iPhone. What impresses me all the more is the fact that it is upgradable to Android Wear 2.0 and works with countless Apps on Google Play Store. Another thing I love is its simple design that is free of fuzz. It is versatile and can work with iPhone to an extent. Delivers more colour options and watch straps so can customize easily. You can track your daily achievements including calories burned, distance and steps using its inbuilt activity tracking feature. This is a smartwatch for women who love tech or uses Android. You can easily choose the rose gold, silver and black or match your style by changing the watch face leather, silicone, and stainless steel band options. Although it does not have inbuilt GPS and mobile payment support which is found in Apple Watch series, this is a great choice to consider. Fashionable sensibility meets modern functionality with Michael Kors Access Touchscreen Gold Bradshaw Smartwatch. The elegant watch is designed to deliver a more feminine appeal and unexcelled option for the stylish chic. 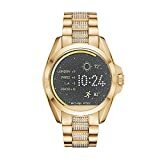 The Access Bradshaw smartwatch is based on the analog Michael Kors watch style, only that this one has a touchscreen and Android Wear 2.0. The Android watch speaks of a thick metal strap decorated with rhinestone, gold-tone and a chunky style. It works with Android and iPhone although it works best with Android. It allows you to be in touch with your notifications, fitness tracking and you can reply to messages. No built-in GPS and mobile payment support. It is an oversized watch which may not really impress some women who prefer tight watches. This is an ideal choice no matter what your style is. It is a versatile smart that combines glam and effectiveness. I love its gold-tone style, touchscreen functionality as well as its wireless syncing. Samsung’s Gear S2 Classic is a female-friendly smartwatch that is very easy on the eyes. It is a contemporary take on classic circular interface designs with rotating bezel. The classic watch has an under armour connected fitness that offers you more fitness tracking options quite easily. It works with Android OS 4.4 with latest 1.5 GB RAM and allows you get as many apps as you would want. It also works with iPhone 5and later with 1OS 9.0 Apps like MapMyRun, MyFitnesssPal or Endomondo apps when downloaded on the Samsung Gear, earns you a year premium app membership for free with additional tools to help achieve your goals. You can track your steps, check your heart rate, and even get a nudge when it’s time to get moving. The round watch face comes in a variety of custom designs to suit your style. You can also match your individual styles with optional watch straps. Featuring a built-in wireless charging, it is easier to power the watch on. GPS and mobile money support are missing on the watch. It also doesn’t have speakers but uses Level U Bluetooth headphones to hear the music. It makes that up by allowing you to use the voice command to help keep your life on track. Also, you can surf the web, set alerts for emails and notifications and even check the weather. It has elegant curves, leather straps, and premium 18k gold or platinum plated finish that will impress any stylish woman. It allows you more options that can match your daily style. Easy navigation through notifications, apps, widgets. IP68 certified dust and water-resistant. The only downside thing about this wrist watch is that it is missing an inbuilt GPS and mobile payment support. This is one of the best smartwatches that allow you many options so that your watch face and strap adapt to any occasion on your calendar. I love it’s tech looking but subtle design. Apple, of course, has proven that it knows what it takes to be a king in the tech business. The manufacturer continues to lead the smartphone market from vibrantly coloured iPods to its sleek metallic iPhones. Now smartwatches, I think they are simply relentless when it comes to flexing its innovative muscle. This 38mm Apple Watch Series 2 boasts didn’t fail. I love it for a variety of reasons which include the fact that it has the best high-tech and stylish features on the list. But the real allure is that it comes in different finishes with countless watch straps and watch-faces to deliver more stylish options. The watch’s sleek and well-proportioned design is a great win unlike many bulky alternatives out there. In addition, it fits the wrist perfectly thanks to its band and 38mm case which 130-200mm wrists. It is compatible with iPhone 5, 5c, 5s, SE, 6, 6plus, 6s, 6s plus, 7 or 7plus and iOS 10 or later. There is also Ion-x glass, digital crown, ceramic back, heart rate sensor for tracking your health, accelerometer, direct fire speaker, microphone and gyroscope. Other noteworthy features include apple S2 Dual-Core Processor, watch OS3, GPS, Retina display with force touch(450 nits). It has a long battery life up to 18 hours. If you don’t like big watches and love chic and high-tech watches, this 38 mm Apple Watch series is your best friend. It is a great watch not just because of its unique style but also in terms of comfort. 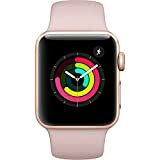 We recommend 42mm Apple Watch Series 2 for women who like bigger watches. Not only does this Huawei Watch Stainless Steel look like a top of the line product but is also one. It is designed with cold-forged stainless steel but that does not make it heavy. It is not so light and feels good. It has a simple design that it almost became over simple. That aside, the watch face is guarded by sapphire crystals – which is not a regular feature I have seen on Android Wear Watches. This protects the round AMOLED display from shattering or scratching easily. It works with an iOS 8.2 or Android 4.3 or later operating system and allows you to keep in touch with your notifications, texts, calls, and apps. Another standout feature is its a 400400×400-pixel resolution (286 pixels per inch) although it may be hard to see in direct sunlight. There is also a 4GB of space so can save your favourite music and apps. Wifi connectivity allows you to use your watch even when your smartphone(iPhone and Android) is not handy or nearby. Like most Android smartwatches using the Google wrist-based operating system, it may not deliver as many features as the Apple. But it is a great deal. It has a simple and yet attractive design. It is relatively slim and lightweight. If you like it very simple, choose this watch. I love that it provides all the techs without overpowering the wrist watch with the design though it may be too simple for some. It’s all about luxury when it comes to ASUS ZenWatch smartwatch. The Android Wear has only three buttons and is seriously light and comfortable to wear on the wrist. It has a design that looks like a regular watch which is detail-focused and made of top quality materials. It has a good number of useful features that make life a lot easier including a connection that lets you keep in touch with calls, texts, social, and more. There is also a customizable design so you can create own perfect watch. With its innovative quick-charging technology and great battery life, ASUS ZenWatch 3 stays on for a longer time so you will always be in the moment. It is covered by thoroughly curved Corning Gorilla Glass 3. This protects the watch from scuffs and scratches. The display is a complete circle and it features IP67 water-resistance quality that keeps safe against water immersion up to 1one meter. It has an Android OS-Smart Gesture Control to scroll through pages and apps effortlessly. The watch also tracks fitness and health stats like sleep, steps and total distance. It is made of a jewelry-grade 316L stainless steel which is not only appealing but also feels nice to wear. When it comes to watches, Android OS based watches isn’t really our favourite, although it is slated to receive a massive update later this year. It provides great charging time thanks to its Hypercharge technology. It withstands the harsh demands of daily wear. It is built with a durable steel and carefully fashioned to suit everybody’s style. Gives you different watch face and widgets so you can change your look anytime you prefer. This is one of the standouts in the world of smartwatches. I love the detailed setting which brings in more refinement and precision. It consumes less energy especially for being powered by Qualcomm Snapdragon Wear 2100 processor which consumes up to 25 percent less energy. It comes in two different colours so you can choose your best from them. While these watches look executive and may cost a fortune to own, they are really worth it and will give you the value for the money you spend on them. They are perfection in watches that hardly disappoints. Keep in mind that watches with Google operating systems may work with iPhones but will definitely not deliver all the features an Apple smart watch would. They rather work their best with Androids gadgets, so consider what you actually need a smartwatch for before getting one.